Premier Computer Support are accredited Microsoft Cloud Partners and can assist clients with the planning and implementation of their Office 365 migration. 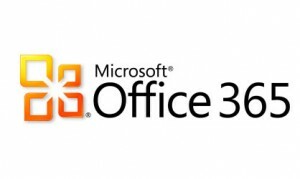 Office 365 is a cloud based service hosted by Microsoft. It brings together the familiar Microsoft Office desktop applications with cloud-based business email, shared calendars, instant messaging (IM), video conferencing, and file sharing. It’s designed to work with the Office you already know so you can get things done faster from virtually anywhere. It provides enterprise-grade tools for a predictable monthly cost and no upfront infrastructure investments, backed by robust security and a 99.9% up-time guarantee. You’ll get the Web Apps of tools you already know-Microsoft Word, Excel, PowerPoint, so you can edit and view files via a web browser. With Office 365, you can easily set up a public website without additional hosting fees, as well as an Intranet site to support internal collaboration. You can upgrade to use familiar desktop Microsoft Office software on up to 5 devices per user across both PC & Mac platforms. Get the donation and do more good. Selected Office 365 Plans are now available as a donation to qualifying not for profit organisations giving them free access to Office 365 services.